Over the past century, average Arctic surface air temperatures have increased at almost twice the global average rate and this rapid warming trend is expected to continue over the next century. Consequently, Arctic ecosystems have become an area of intense research focus, with specific emphasis on identifying compounding and exacerbating factors that can be critically important to our understanding and modeling of key biogeochemical processes. Short-term climate forcings and feedbacks that potentially accelerate local warming and environmental change in the Arctic are also increasingly affecting society in a variety of ways: from erosion of Arctic coastlines, to modifications of wildlife habitat and ecosystems that affect subsistence opportunities, to changes in transportation infrastructure, mineral development, and other ecological, socio-cultural, and economic uses of coastal ecosystem services. Arctic climate change has global implications, contributing to global sea level rise and affecting heat-flux changes, atmospheric circulation, and ocean circulation and dynamics beyond the Arctic region. The realization that changes within the Arctic have profound impacts on ecosystems and human populations across the globe has motivated greater attention by researchers, funding agencies, governmental policy makers, and non-governmental organizations. Recognizing the challenges associated with climate change and the emergence of a new Arctic environment, the White House released The National Strategy for the Arctic Region in May 2013. Included among the main principles highlighted in this strategy is: “Making decisions using the best available information by promptly sharing – nationally and internationally – the most current understanding and forecasts based on up-to-date science and traditional knowledge”. Yet major gaps remain in our understanding of the feedbacks, response, and resilience of coastal Arctic ecosystems, communities, and natural resources to current and future pressures. The biogeochemistry of the Arctic nearshore coastal zone, a vulnerable and complex contiguous landscape of lakes, streams, wetlands, permafrost, rivers, lagoons, estuaries and coastal seas, all modified by snow and ice, remains poorly understood. 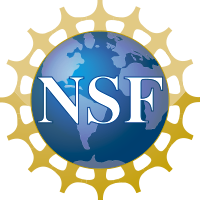 To improve our mechanistic understanding and prediction capabilities of land-ocean interactions in the rapidly changing Arctic coastal zone, our team proposed a Field Campaign Scoping Study called Arctic-COLORS (Arctic-COastal Land Ocean inteRactionS) to NASA’s Ocean Biology and Biogeochemistry (OBB) Program. 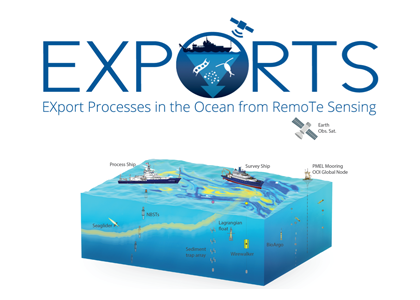 The goal of the project was to develop a scoping study report for NASA that describes and justifies the science imperative and design of an integrative, interdisciplinary oceanographic field campaign program that addresses high priority science questions related to land-ocean interactions in the Arctic. During the preparation of the scoping study report, our team consulted with the community to refine the high priority science questions for Arctic-COLORS, determine the study domain and research phases for the field campaign, and explore opportunities for linking to other field activities in the Arctic. 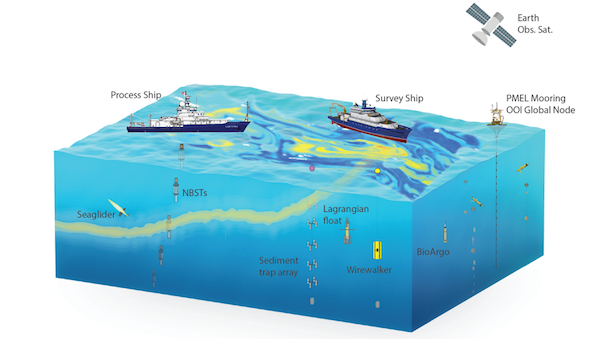 Addressing the campaign’s objectives will require multidisciplinary expertise, a coordinated engagement of regional authorities and local communities, and a combination of field studies, remotely sensed observations from various platforms (shipboard, buoys, gliders, ground-based, airborne, satellite, for example), process studies, and numerical modeling. 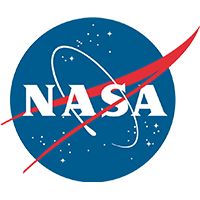 This scoping study report does not describe a comprehensive field campaign activity in detail, but rather sketches out key aspects of a field campaign program including the study region, sampling approaches, critical measurements, remote sensing assets, and modeling activities necessary to address the science objectives. What is Arctic-COLORS? 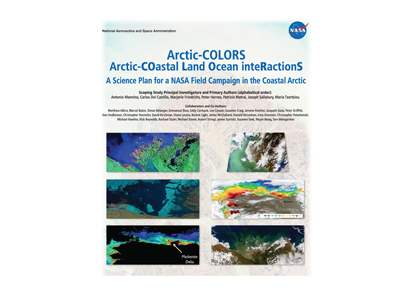 Arctic-COLORS is a proposed NASA-funded field campaign designed to quantify the response of the Arctic coastal environment to global change and anthropogenic disturbances – an imperative for developing mitigation and adaptation strategies for the region. The Arctic-COLORS field campaign is unprecedented, as it represents the first attempt to study the nearshore coastal Arctic (from riverine deltas and estuaries out to the coastal sea) as an integrated land-ocean-atmosphere-biosphere system. 1. How and where are materials from the land, atmosphere, and ocean transformed within the land-ocean continuum of the Arctic coastal zone? 2. How does thawing of Arctic permafrost—either directly through coastal erosion or indirectly through changing freshwater loads from upstream thaw—translate to changes in coastal ecology and biogeochemistry? 3. How do changes in snow/ice conditions and coastal circulation influence Arctic coastal ecology and biogeochemistry? 4. How do changes in fluxes of materials, heat, and buoyancy from the land, atmosphere, and ocean influence Arctic coastal ecology and biogeochemistry? 5. How do changing environmental (short-term) and climate (long-term) conditions alter the Arctic coastal zone’s availability and use of ecosystem services?